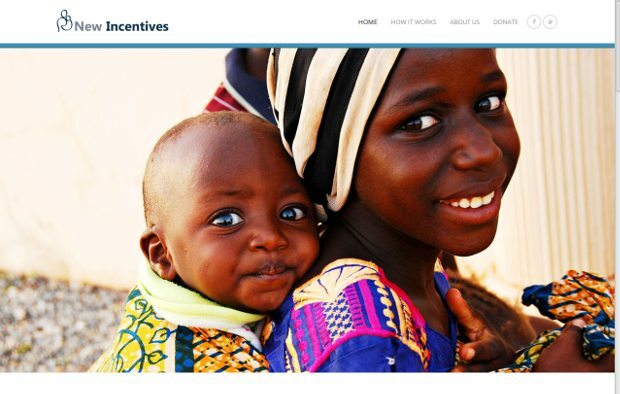 New Incentives is the world’s first and only nonprofit dedicated to Conditional Cash Transfers (CCTs). CCTs are small, predictable sums of money that individuals in need can earn after meeting various education and health benchmarks such as school attendance or clinic visits. In the case of New Incentives, your donation gives poor HIV-positive women in rural West Africa small stipends on the condition that they regularly visit health clinics and take necessary medications to ensure their children are born HIV-free. The small stipend allows the women to afford food, transport and other basic services. Hence, the CCT not only prevents mother-to-child HIV transmission but also helps fight poverty. It further strengthens the position of the mother and newborn in a family setting. Their health is no longer seen as a luxury but a smart investment. Svetha Janumpalli is the Founder & CEO of New Incentives, an organization she started in 2011 after doing research at the Center for Effective Global Action with faculty who conducted evaluations of leading conditional cash transfer programs (CCTs). She built New Incentives to introduce the nonprofit sector to CCTs because they are among the most well studied evidence-based development tools in the world. Having a background in impact evaluation and field research, Svetha understands how to bring policymakers, development researchers, and NGO partners together to create what New Incentives calls next-generation CCT programming.